We commit to providing you with a “Stellar” work environment. What does that mean? It means a 100 per cent commitment to your health and safety. Stellar Electrical’s assets include our physical property and our workforce; it is our policy to protect and prevent the loss of all of our assets. This policy does not take precedence over applicable government legislation. It is the responsibly of all workers to be familiar with the government legislation that affects you and your job. Everyone, from the office to the field: full time, part time, contract, job shadowing, management, suppliers, etc., is equally responsible for minimizing health/safety incidents. Our commitment as managers is to provide clear, concise directions, on-the-job training and easy access to the safety materials you need for your job. All management activities will comply with company health and safety requirements as they relate to the planning, operation and maintenance of facilities and equipment. Your commitment is to read and follow the company health and safety manual, operate your motor vehicles (your own and/or company vehicles) in a safe and responsible manner while following all traffic laws and driving defensively, and to perform your job in accordance with established procedures and safe work practices. I trust that you will join me in a personal commitment to make health and safety a way of life. 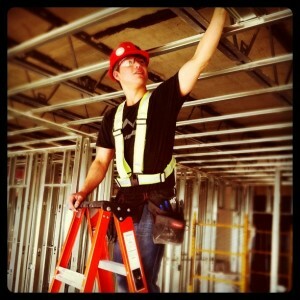 Stellar Electrical requires appropriate personnel at each work site to complete a daily field level hazard assessment prior to commencing work, and when significant changes to the working environment occur. We also require weekly toolbox meetings to be held for each work site, wherein jobsite hazards and controls are reviewed and evaluated. We have comprehensive safety policies that each member of our staff is required to know and adhere to. From the proper use and care of powder actuated fastening tools to extension ladders to wire installation, our safety procedures are clear and concise. All Stellar employees are required to wear proper PPE when working on a site. Each staff member is trained to use and wear PPE whenever necessary, in accordance with both our company safety policies, and government legislation. Our safety policies and procedures ensure all our tools and equipment shall be properly maintained to: reduce the risk of injuries to our employees, contractors, and the public at large; and to prevent damage to company property. We have a strong focus of on-the-job training to ensure that all of our workers are competent and skilled. 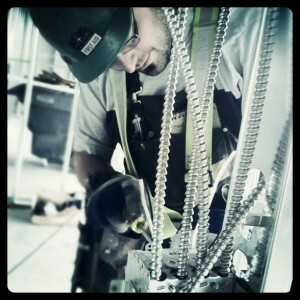 We maintain a comprehensive program of safety inspections at all facilities and job-sites. All incidents that result in personal injury, property/equipment damage, fires or explosions, environment damage, or near-miss incidents are thoroughly investigated and analyzed for root cause.